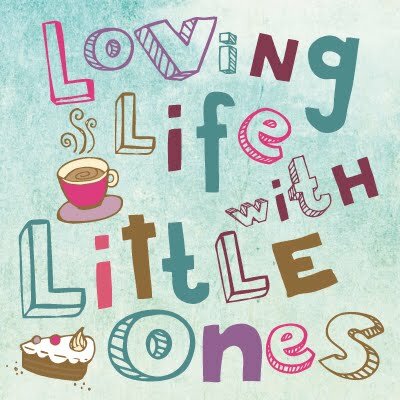 Loving Life with Little Ones: At last some me-time, what did I do? If you are expecting a really interesting post filled with interesting things then you should probably click away now! Today was the first day in ages I have had a bit of me-time. Little 1 is now in her 4th week at school (where on earth did that go?) and is, from today, full-time. 8.45am until 3.15pm she is someone elses responsibility and while it is nice to have the house a little quieter I do miss her company. This is it now until she is 18 or older (and then she won't want me around anyway) apart from holidays and it all feels a bit weird, I feel a bit out of the loop, I don't know EVERYTHING about her life only what she feels like telling me or can remember about her day, which isn't a great deal at the moment as they are doing so much. Little 2 is into her second week at playgroup and is settling right in, she said bye to me today as I unstrapped her from the pushchair before we had even gone through the gate, so thankfully no problems there. And then there I was with a whole 2 and a bit hours to myself before picking her up again, once I'd actually arrived home and factoring in when I needed to go back to get her and then onto school for her sister that left me with one hour and 40 minutes TO MYSELF. So what did I do with this time? Well, (don't hold your breath it is not that exciting!) first I had some lunch (I told you it wasn't exciting). I didn't have to share my sandwich nor have little hands grabbing bits off my plate and neither did I have to stop eating it 5 times to deal with a spilt drink, a doll that needed dressing urgently, a toilet break (not my own) or to break up an argument over who has the most crisps! I drank my cup of coffee while it was still HOT, properly hot not thrown in the microwave to make it drinkable again kind of hot and with it I ate a whole mini dairy milk just because I could and I didn't have to hide in the kitchen so that I didn't have to share!! To think I am going to be able to eat lunch by myself twice a week until the baby comes (what an exciting life I lead). I then had a little over an hour left so today I checked my email and actually replied to them at the same time not later on when the children were asleep. I caught up with a little bit of commenting on some blog linkys and started writing a new blog post, all of which I would have done after the children had gone to bed tonight so all in all time well spent and tonight I might even talk to my husband when we are sat on the sofa rather than hiding behind my laptop having done most of the things I needed to do today (blogging really does take up a lot of time doesn't it, not just the post writing but the other stuff behind the scenes too). I even spent a few minutes looking for christmas presents online, get me, I crammed a lot into that hour. So there you have it my uneventful, not exactly me time really, just catching up time, post. I think on Friday I might be really cheeky and watch a bit of daytime tv or just grab an hour snooze on the sofa, that sounds good, I'm actually completely shattered! I had SEVEN hours of me-time last Friday when Gwenn was at her first full day at nursery. Usually I'd be at work but I took it off just in case there were any issues. Talk about productive. I felt superhuman!!! I know housework doesn't technically class as me-time but it was easier than running atound after a 17 month old. I hope you have many more days like that to come! Yes it takes hours doesn’t it!